Sevilla travel to face Shakhtar Donetsk in the first-leg of what promises to be a thrilling Europa League semi-final tie. Unai Emery’s men have won this competition in each of the past two seasons, but there is no doubt that the La Liga side face a tough assignment against Mircea Lucescu’s charges. Sevilla squeezed past Shakhtar in the 2007 UEFA Cup – the only previous meeting between these two teams – winning 3-2 in extra-time in Donetsk after two 2-2 draws over 90 minutes. Such excitement would, most definitely, be welcome in this tie and this has all the ingredients required for an open and entertaining clash between two clubs with an impressive pedigree in this competition. Shakhtar boast a fine record on home turf, having lost just two of their last 13 competitive home fixtures – with one of those defeats coming when Lucescu’s men were edged out 4-3 against Real Madrid in the Champions League back in November. Even more impressive is that Shakhtar have scored three or more goals in 10 of their last 12 home matches. The Ukrainian side began April with a thumping 8-1 win over Metalist Kharkiv and they underlined their credentials in this competition with a 6-1 aggregate victory over Sporting Braga in the previous round – sealing their place in the last four with a 4-0 mauling of the Portuguese outfit in the return leg on home turf. Furthermore, Shakhtar have come out on top in each of their last five European ties – their best ever sequence of results in European competition – and, subsequently, the hosts are likely to be brimming with belief ahead of the showdown with Sevilla. Sevilla are the most successful team in the history of this competition, having claimed the silverware on no fewer than four occasions. Emery’s side are now within touching distance of securing a place in their third successive Europa League final. However, Sevilla’s patchy away form is sure to be a major concern for the 44-year-old Spaniard ahead of Thursday’s tussle in Donetsk. The La Liga side have won just four matches away from home all season – with three of those victories coming in the Copa Del Rey – while Thursday’s visitors have been beaten in each of their last three league fixtures on the road. A 2-1 away win against Athletic Bilbao in the previous round of the competition bucked the trend but, even then, a 2-1 reverse in the return leg meant that Sevilla needed penalty kicks to progress in the all-Spanish quarter-final on a tense night at the Ramon Sanchez Pizjuan. Prior to that 2-1 defeat against Bilbao in the last eight, Emery’s outfit had won eight consecutive matches on home turf in the Europa League and Sevilla may well rely on their fine home form as they strive for a place in next month’s showpiece final. Mircea Lucescu’s side to claim a valuable first-leg lead at 13/8 when these two teams lock horns in Donetsk. 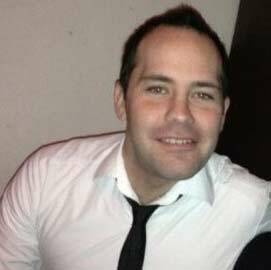 A freelance football betting writer, Mark (@MarkOHaire) also runs WeLoveBetting.co.uk - a sports betting website offering advice, analysis, data and fun features. As well as a huge passion for the top tiers of European football, Mark enjoys following his beloved QPR, rugby and travel.